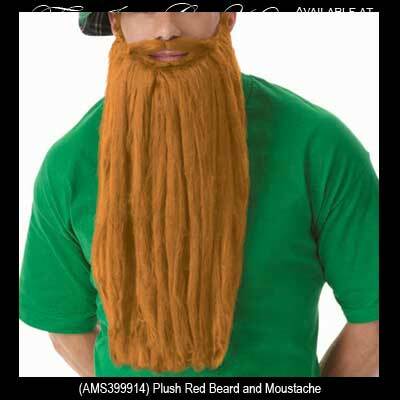 This red beard and mustache will complement your Irish costume on St. Patrick's Day. How about some red facial hair to complete your St. Patrick's Day costume? The red mustache and long beard from The Irish Gift House will be fun to wear at any Irish party.